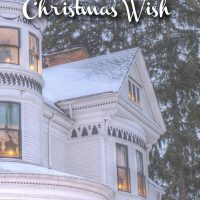 It would take the knowledge of her impending death, for Grandma’s Christmas wish to come true. The Cavanaugh’s are a young family torn apart by tragedy, reunited by a wish. All Grandma ever wanted for Christmas was to have her family together. Twenty-nine-year-old Claire eloped to escape the memories of her parents, believing that her grandmother was responsible for their deaths. Twenty-seven-year-old Jack rarely comes home, having bought into Claire’s memories of the tragic night their parents were killed. Twenty-year-old Darby was only six when her parents died, ten when Claire ran away, and twelve when Jack left the house. Darby stayed home to take care of the grandmother who raised her. The kitchen at the Cavanaugh’s has always been the heart of the home. As Darby says, “Grandma always said, ‘You miss all the good stuff if you stay out of the kitchen.’” When the Cavanaugh children gather in the kitchen, it is a fun, humorous and sometimes sad trip down memory lane. Grandma’s Christmas Wish is a warm, humorous and touching family story that helps us discover, along with the Cavanaugh children, that God and family are all that truly matter. A perfect book for families to read together.